The Manatee County Clerk is warning homeowners about letters from companies offering to sell them a copy of their deed and property assessment profile. These copies are being offered for prices ranging from $50 to $100 per deed. The letters periodically appear in Manatee County and are often concentrated in a specific zip code or neighborhood, so that neighbors receive the letters at the same time. 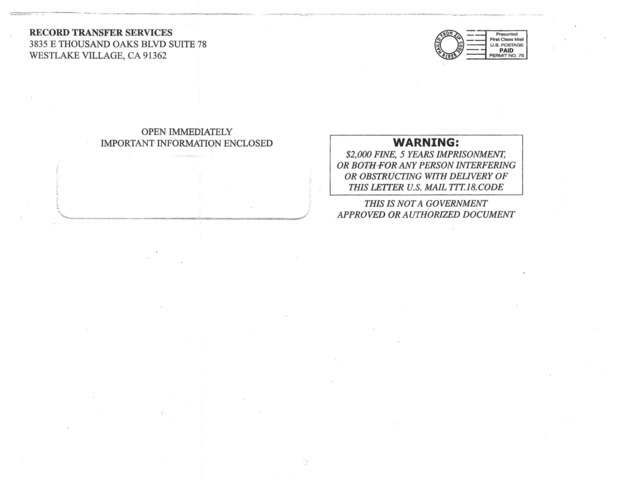 “Your deed is a public record and is permanently maintained and preserved by the Manatee Clerk of Circuit Court and County Comptroller’s Office,” said Clerk Angelina Colonneso. “You do not have to pay a private company for a copy. Some homeowners say the problem is that the letters at first glance can look authentic. "It looks so official," said Amanda Holleran of Bradenton. "I think that's the problem." 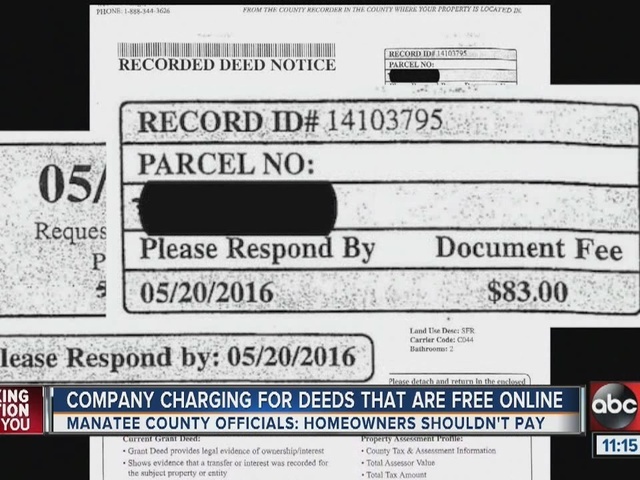 You can view and print, for free, a non-certified copy of your deed from the Manatee County website , she said. Should you ever need a certified copy, the cost is $1.00 per page and $2.00 for the certification. In most cases, the total cost will be between $3.00 and $5.00. "I didn't know they were free, so I wouldn't have thought twice about you know, oh, let me just order it and get it taken care of," Holleran said. There does not appear to be anything illegal about this offering, but it is an unnecessary expense for a homeowner to incur, Colonneso said. If you have any questions or need assistance, please contact the Clerk’s Recording/Official Records Department at 941-741-4040 or email clerkscopycenter@ManateeClerk.com .